Home-enthusiasts willing to buy a quality home in Pune should consider buying a home in SKYi Star Town. The residential complex comes with all the amenities you crave to live a luxurious life. Residents looking for the best mix of comfort and sophistication can get these homes and live up to their housing dreams. Pune is one of the most important cities in the country. The commercial importance of Pune is on the rise. If you are willing to get a quality home in the city, you can embrace one of these apartments. 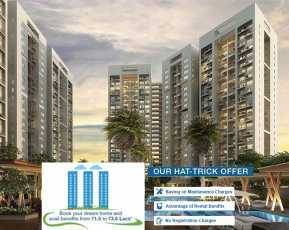 The residential complex brings you 1 and 2 and 3 BHK apartments, designed with elegance. 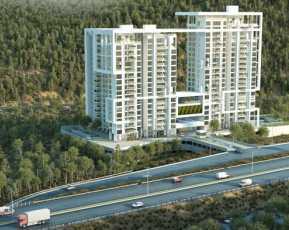 The prices of these apartments range between INR 25.50 lakhs and 46 lakhs. These homes have been developed for high-end buyers as well as the middle-income groups. Corporate employees in Pune are on the hunt for quality apartments. Residents from other parts of the country, too, are interested in acquiring these homes. The prices of the apartments are likely to surge in the coming months. If you are willing to get a home loaded with luxury lifestyle and healthcare amenities, you can get a home here. 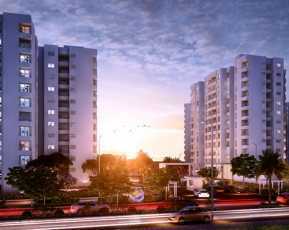 This property provides some best option for property in Pune under 50 Lacs. The strategic location of the residential complex is one of the key reasons behind the high demand for property here. The well-connected roadways make it easy for the residents to reach the important parts of the city. The commercial hubs in Pune are also located close to the residential areas. The estate has got 70% open space. The towers are well-planned, which leaves a wide area for public use in the estate. If you are fond of green living facilities, you will get your dream home here. 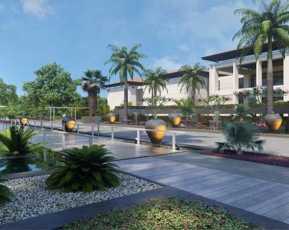 The complex comes with extensive green zones and landscaped gardens. The residents can cherish the green cover around the homes and have a walk in the paths along the gardens. You will enjoy great views from your home. If you are looking for residential property in Paud , you can buy these homes. Once the project is completed, more than 400 local trees will be planted in the complex. Over 40 bird species are likely to visit the gardens. The landscaped gardens will have local flora. The estate will also have toddlers play areas and bus bay for kids. You will enjoy the lifestyle when you move to these apartments. The commercial importance of Pune is on the rise. The IT sector in the city is fast developing. Besides, several blue-chip companies are coming up in the city. Employment opportunities in Pune are high. This is one of the key reasons behind the high demand for quality homes in the city. The places of entertainment can be easily reached from the residential complex. Several shopping malls and multiplexes are located close to the estate. The residents in the residential complex will enjoy the exposure to a wide range of luxury amenities. Investors and homeowners, willing to buy real estate in Pune should have a look at SKYi Star Town. Enjoy classy homes in the residential complex, enjoying the proximity to the commercial zones. Based on 3 recommendations Would you recommend this Property?